Windows 8 is often criticised for its shallow apps catalog, Egypt is no exception, but this is changing overtime with more apps being launched and push by Microsoft and its partner Linkdotnet in Egypt. 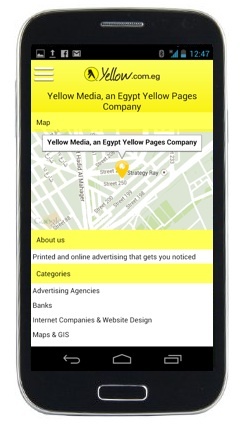 Egypt Yellow Pages Windows 8.1 app is available for download on the Windows Store as one of the leading apps in the the Egyptian market, only a few apps came before like EgyptAir Windows App and Egyptian eGovernment maps app which is also powered by Yellow Pages data. The new apps have received hundreds of thousands of downloads and continue to grow rapidly. Yellow Media has announced its intent to launch a new context-based relevant in stream mobile ads as an innovative way of mobile advertising that has a positive value on the user experience based on their interests rather than traditional mobile banner advertising.